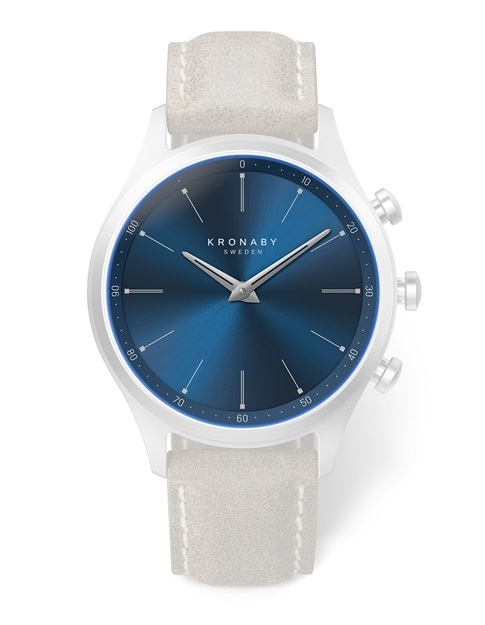 Keeping track of time is a full-time job better left to Kronaby. No matter how many time zones you cross, it automatically displays the local time accurately. There is a fine line between staying connected and being distracted. 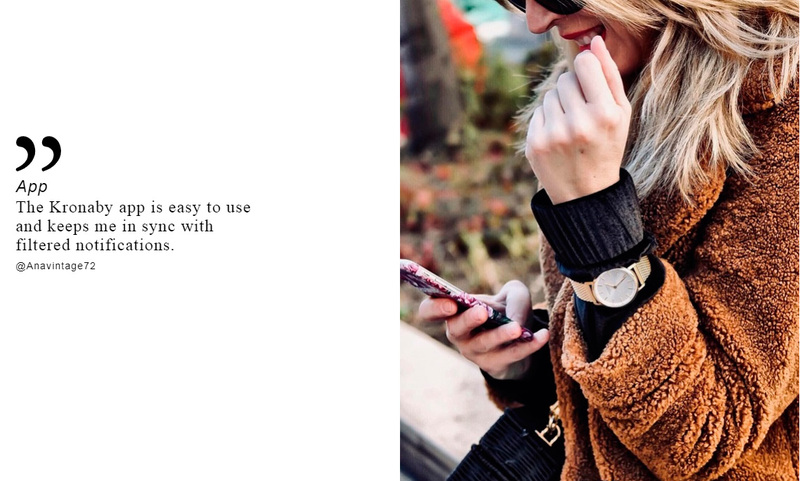 That is why Kronaby lets you choose to be notified only by the people and of the goings-on you care most about. In our connected world, prioritizing incoming phone calls is an inevitable modern-day nuisance. 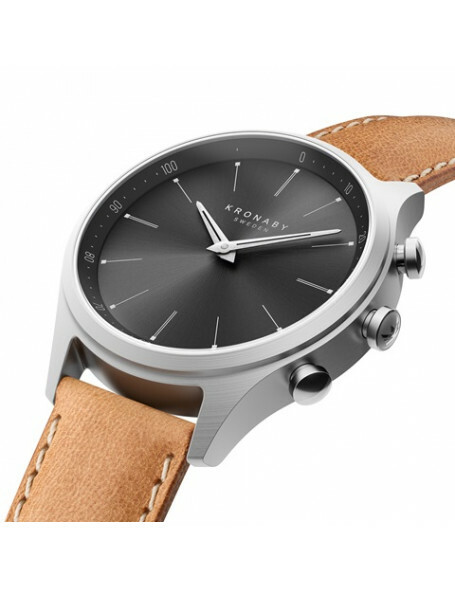 Kronaby just made it a little less of a hassle through the Decline Call button on your wrist. Can't find your watch? Left it at the gym, at home or simply misplaced it somewhere? Locate it in the app. 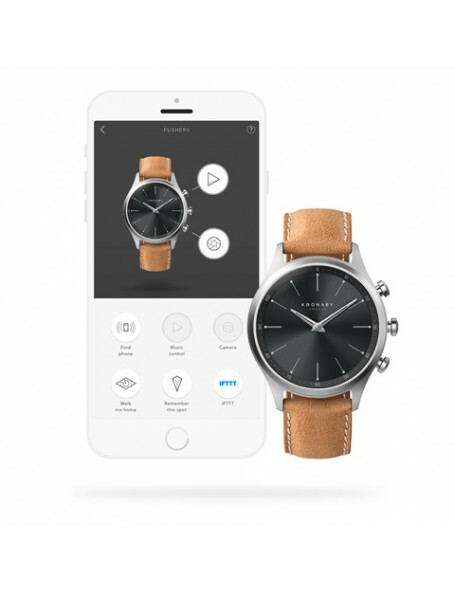 A map will show you where the watch was last connected to your phone. With a standard battery that lasts up to two-years (depending on use), you’ll never again have to put life on hold while searching for an outlet to recharge..
Get up and get moving – there is increasing evidence that we need to spend less time sitting to maintain a healthy physique. Let Kronaby send you a gentle reminder when you’ve been inactive for too long. By switching on the silent alarm, the watch’s soundless vibrations wake only you, letting those around you carry on snoozing. 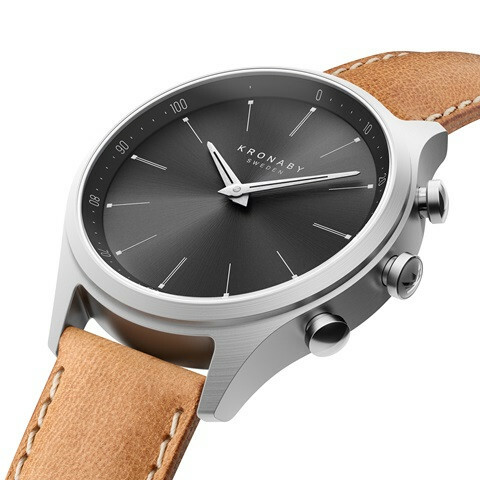 Kronaby keeps you continuously connected with the outside world by letting you select an additional time zone to be displayed on the watch face. Statistics shows that activity is a key for a healthier life. Set a step goal and monitor your progress directly on your wrist. Let your smartphone analyze your activity for deeper insights. Proper time management is hard to achieve without the right tools. A timer allows you to box your chores and find your focus. Done right, time management is life management. 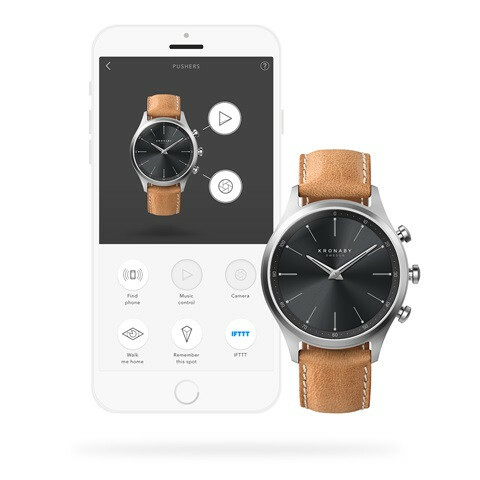 Track how fast you run a mile, time individual laps, or simply track the time it takes to complete a task. 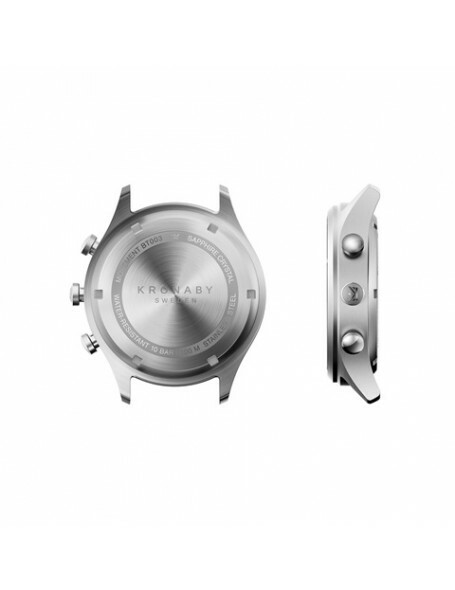 The Kronaby stopwatch combine the traditional with digital precision to cover all your tracking needs. Knowing the current date is a fundamental piece of information that is readily available through the push of a button. How would you be able to stay in the present moment otherwise? The built-in camera remote lets you switch places, from always being the person behind the camera to sharing the moment with your friends in front of it. It is sure to make for a prettier picture. 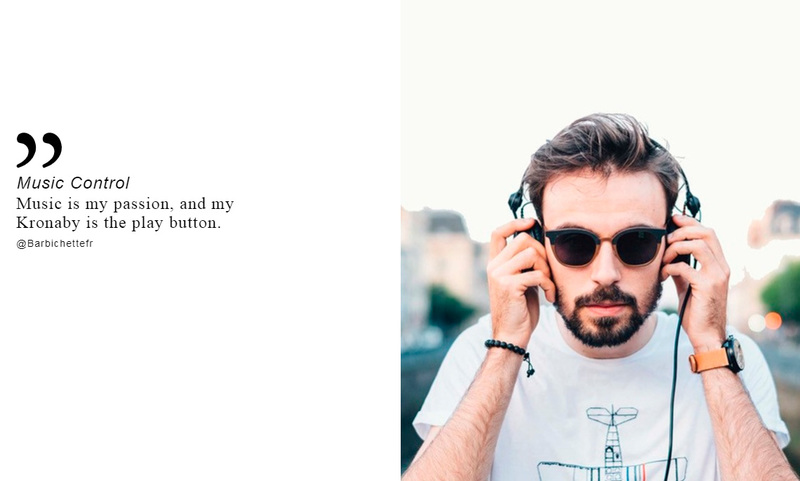 Kronaby gives you instant access to your favourite music, whenever and wherever you want. Press Play and let it influence how you think, feel and move. Being free to move around safely should be everyone’s prerogative. A push of button sends a signal to a loved one, letting them respond and follow your every step. It’s like having someone walk you home, but from a distance. Busy days make us all forget and misplace things. 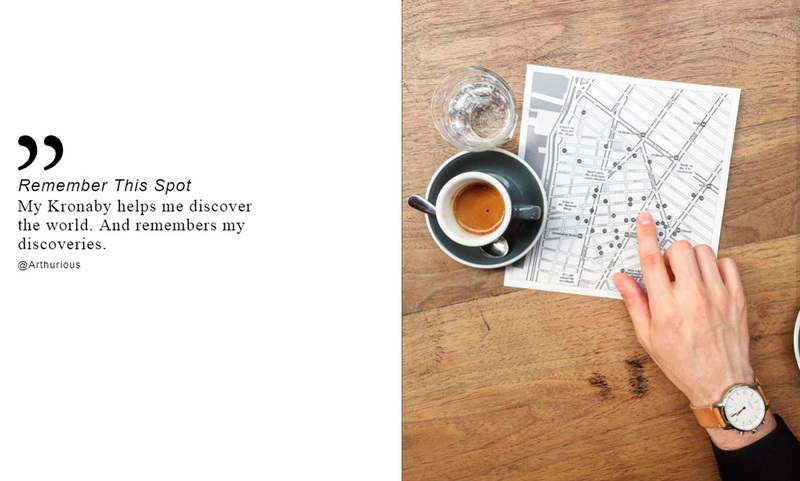 The clever pusher on your watch reveals your phone’s whereabouts, saving you the involuntary scavenger hunt. Part of living is trying new things and experiencing unfamiliar places. But before you do, make sure to press the GeoTag button, so you can be sure to find your way back to the spot whence you embarked upon that new adventure. Kronaby® is protected by Trademarks owned by Festina Group, Spain.